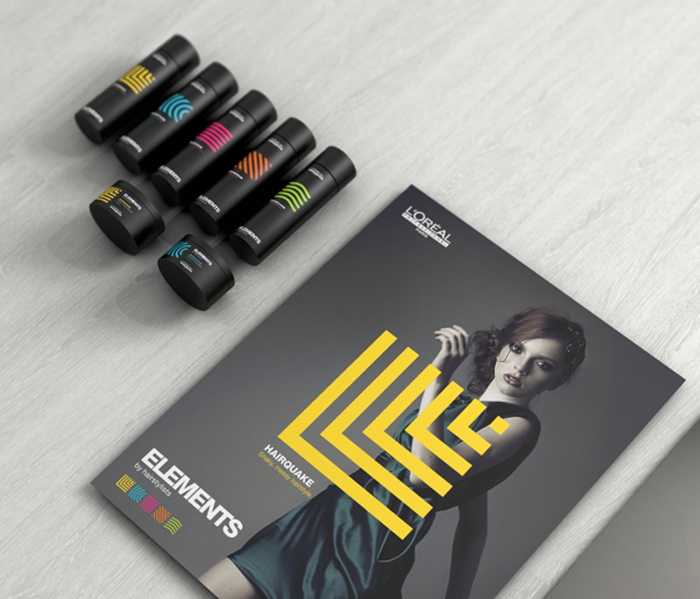 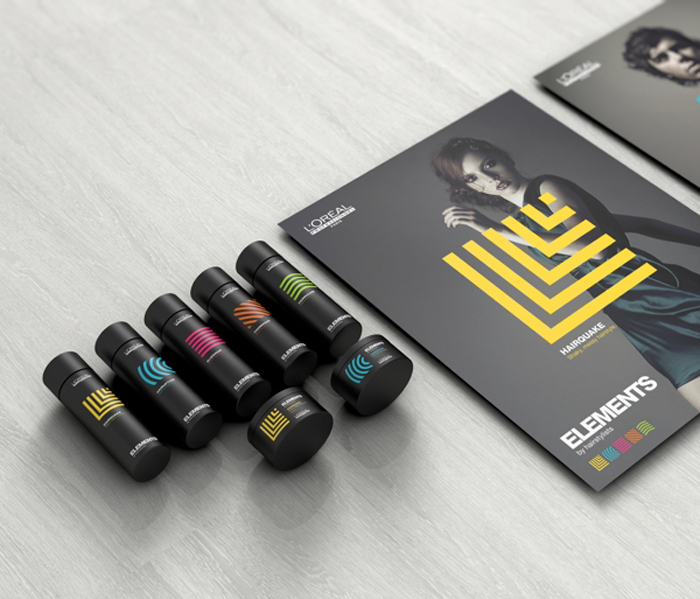 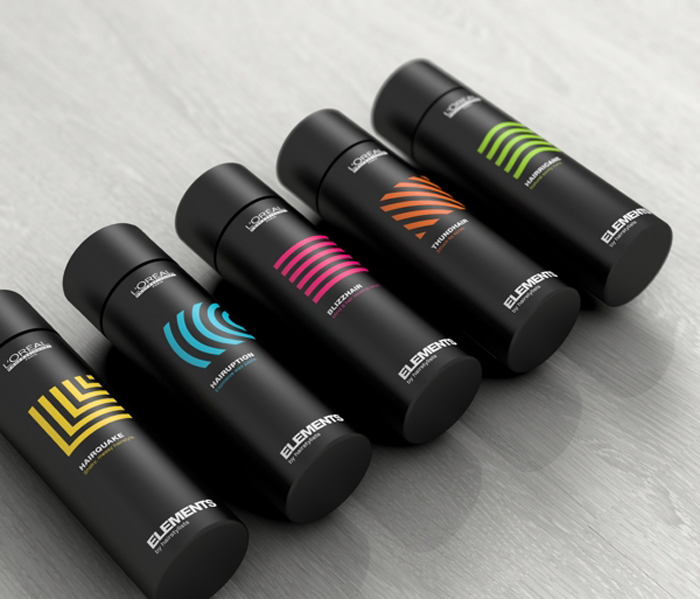 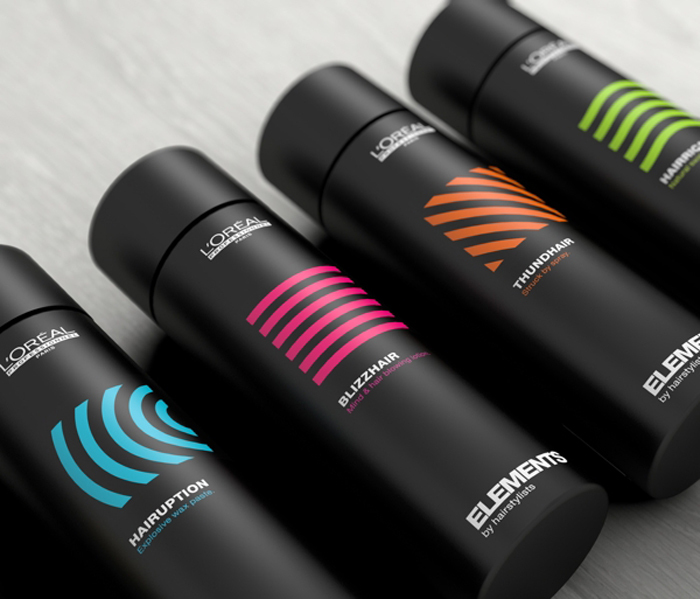 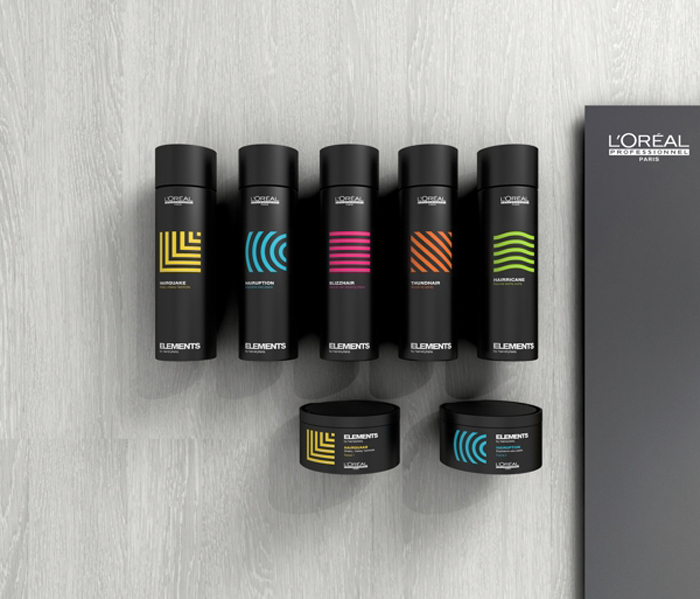 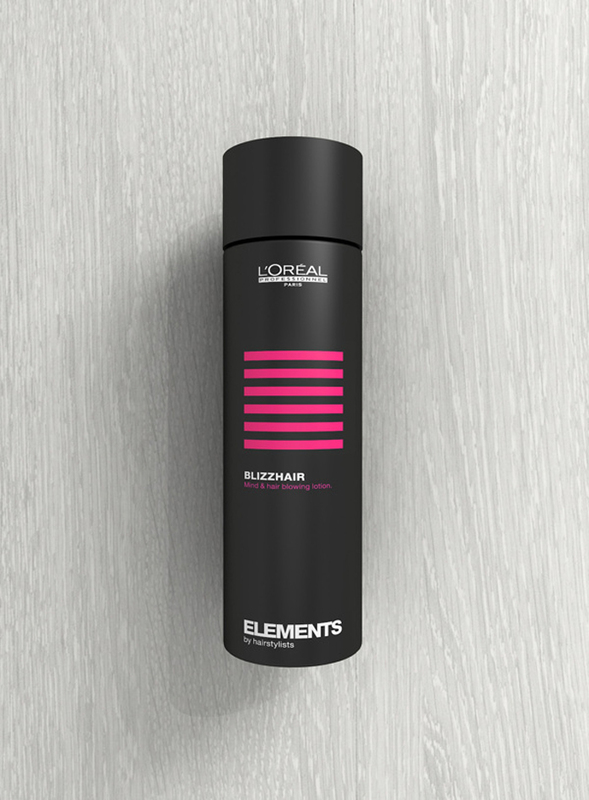 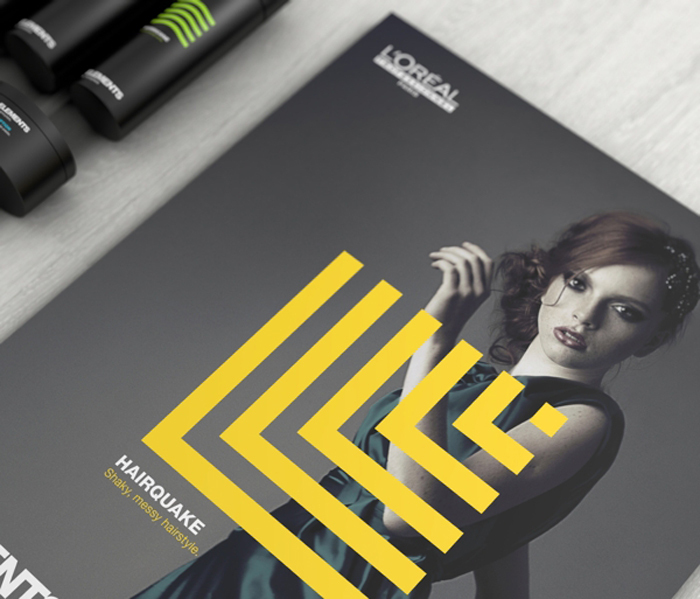 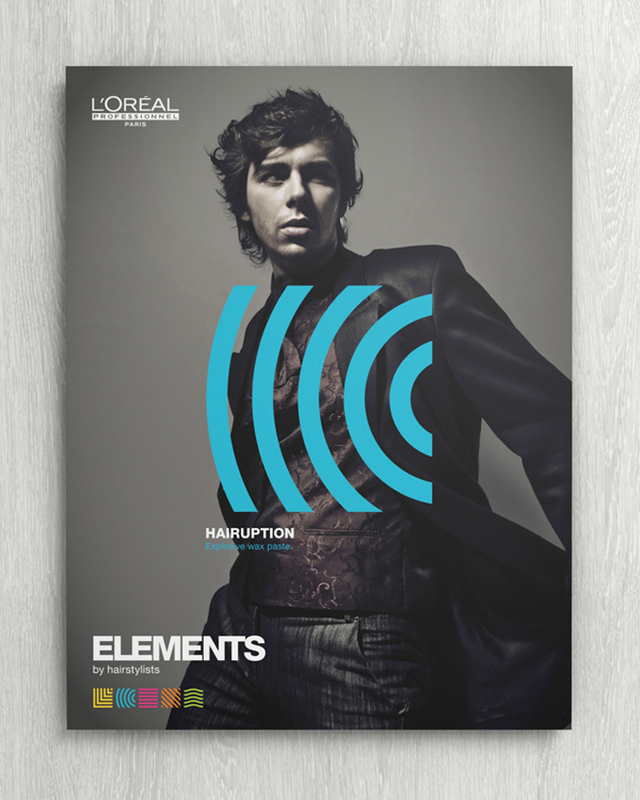 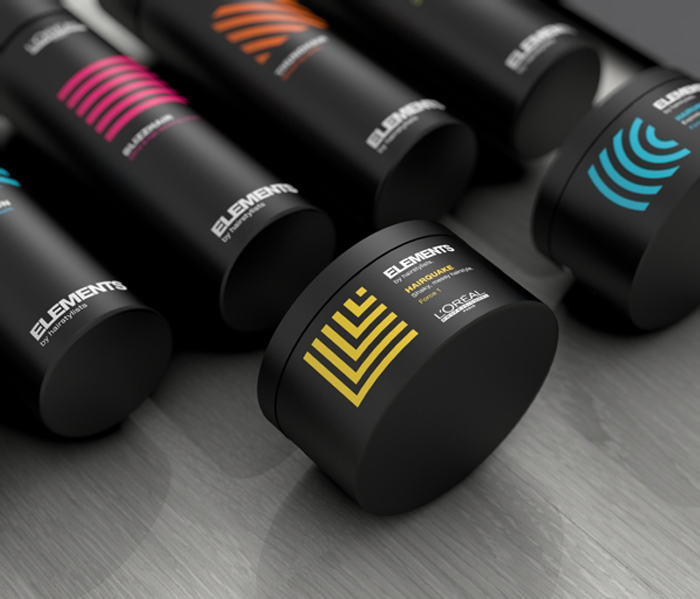 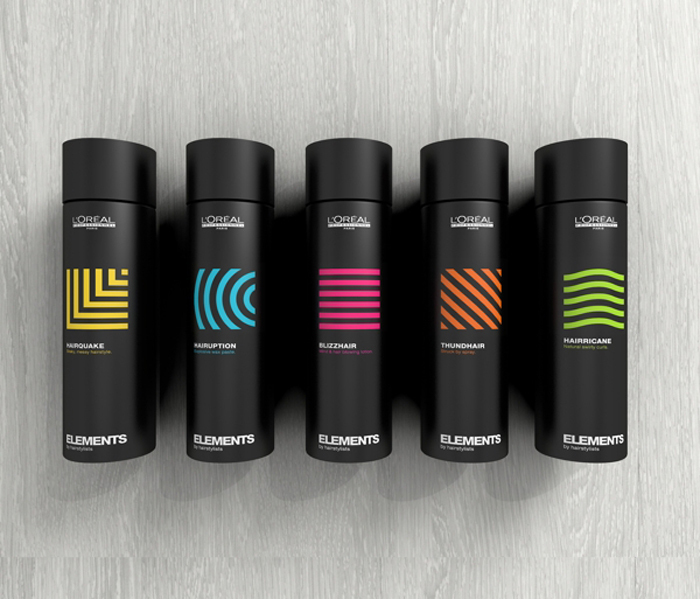 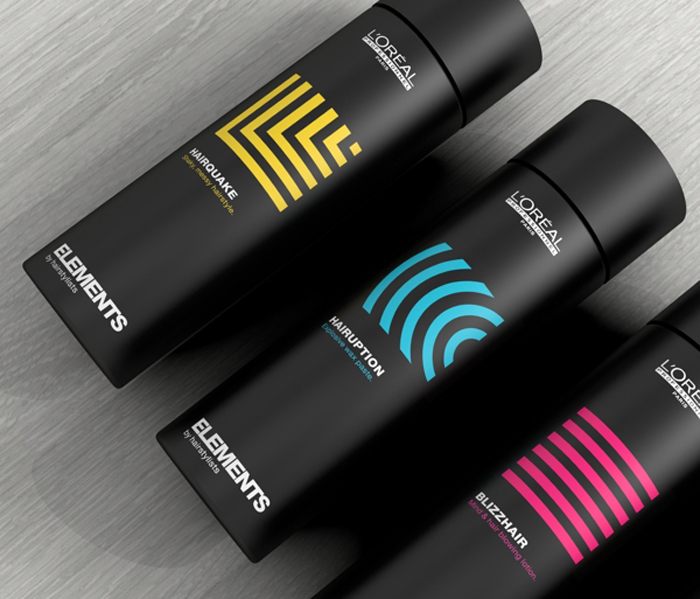 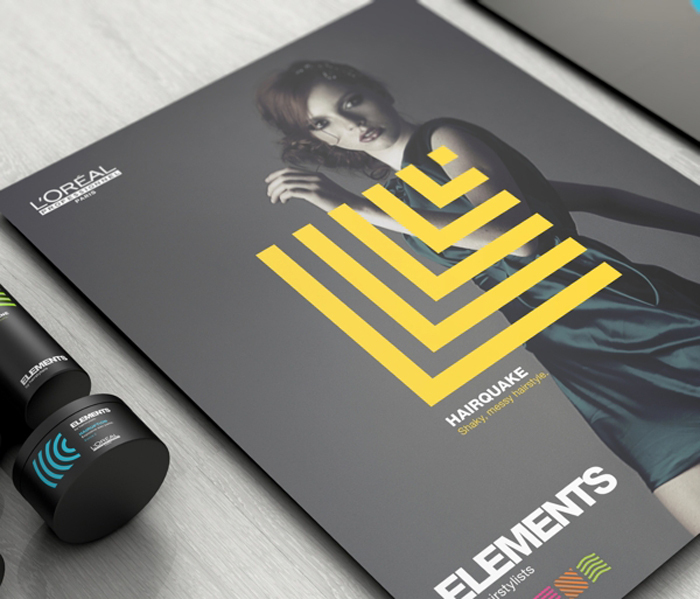 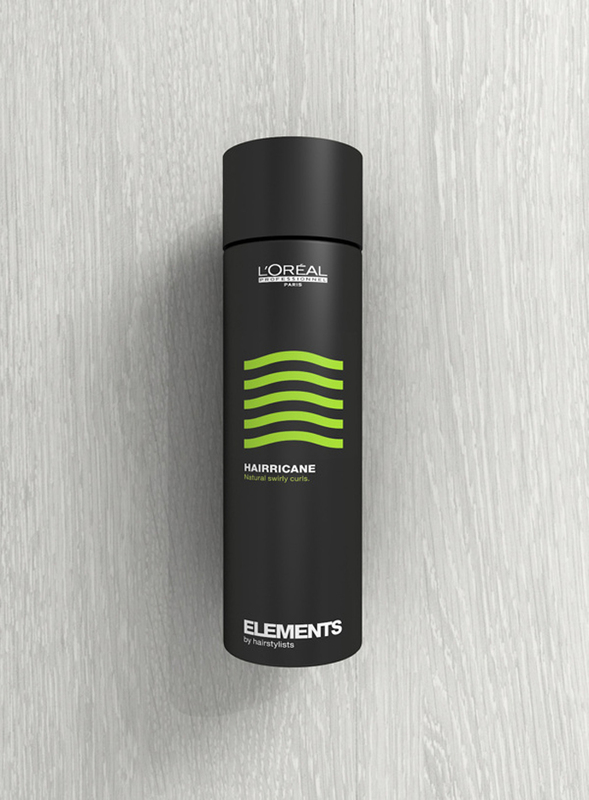 Extrême Corporate gave L’Oréal Paris (specialist beauty and hair care offers its range of professional products for hair realization mode) a makeover for the release of their new series ELEMENTS by hairstylists. 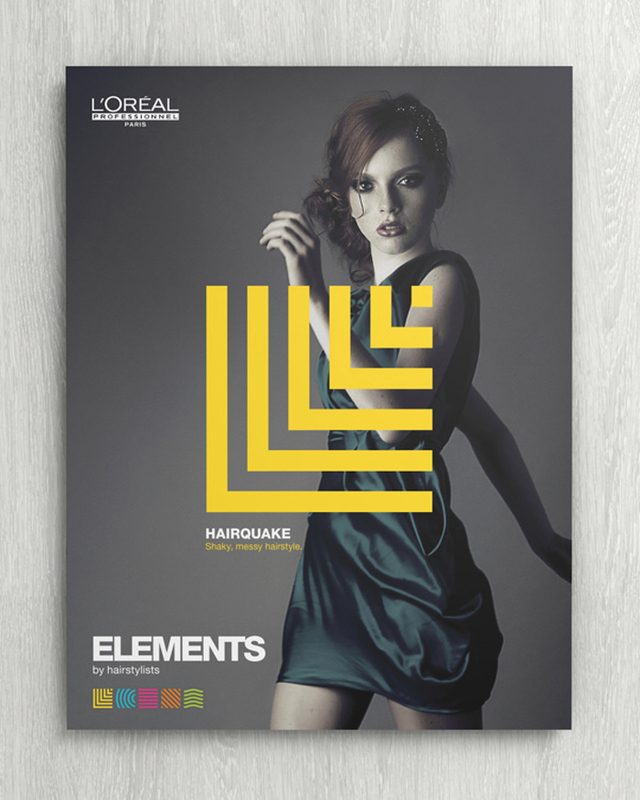 Their concept behind the makeover was to used 5 pure elements for every style on earth. 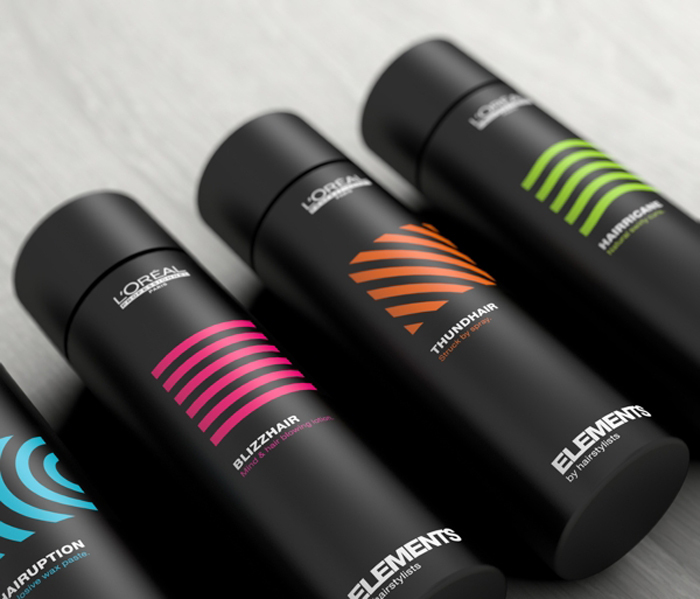 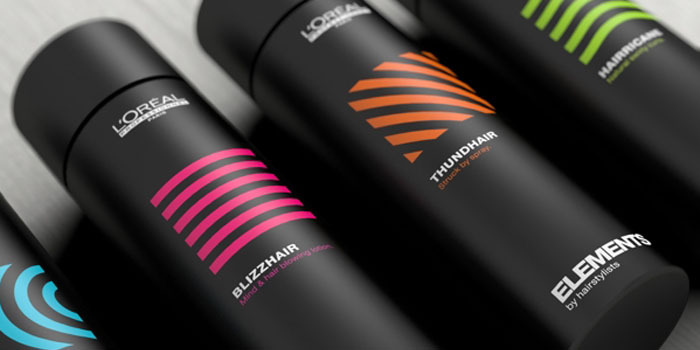 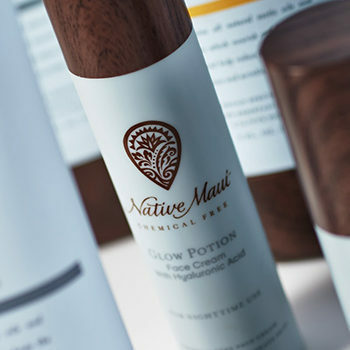 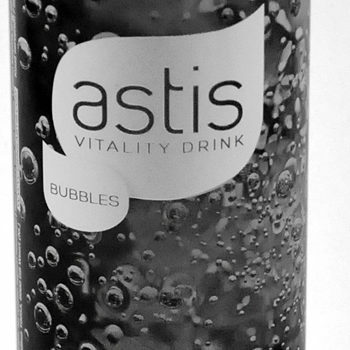 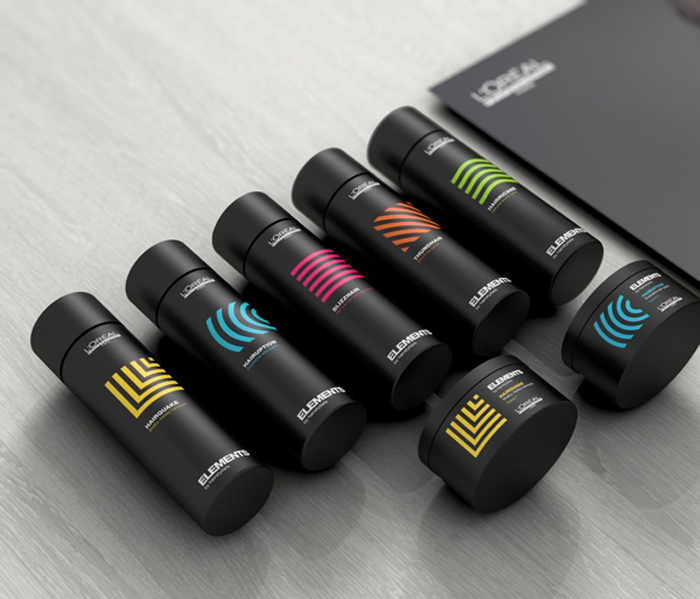 The bottles are in black with one bright graphic that represents the element – it roars with professionalism and beauty. 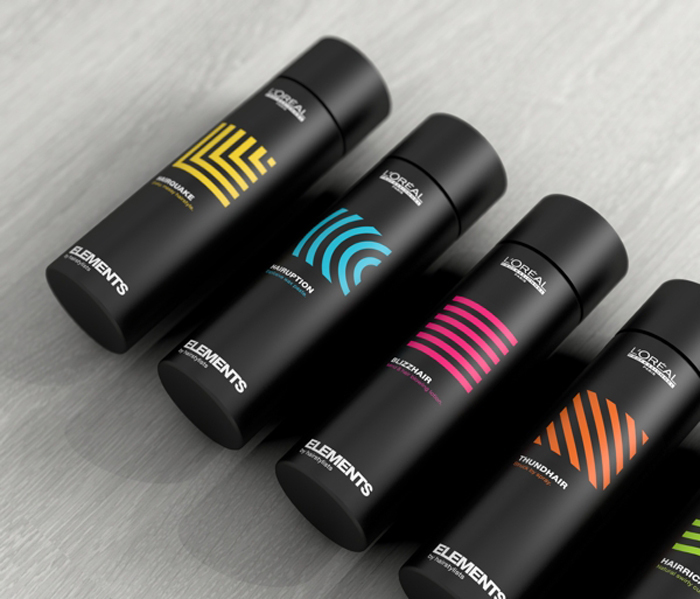 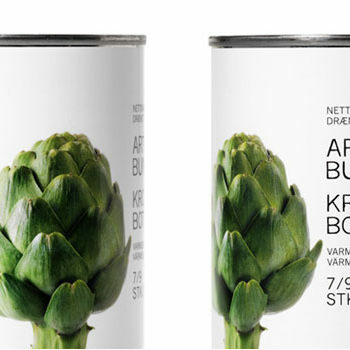 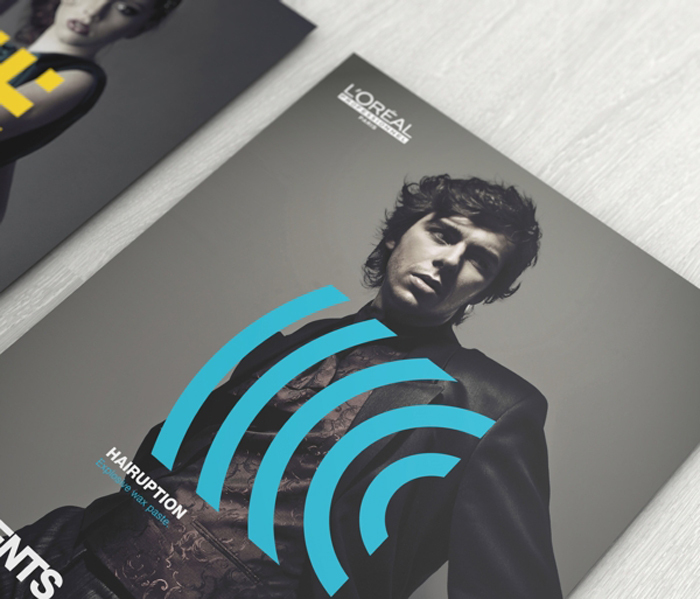 Designed by Extrême Corporate, Paris, France.